Bank Robber: Stress Made Me Do It! I believe him. I really do. And I think that anyone who has been under so much stress for a long time would probably understand this outstanding citizen turned bank robber. I don’t know if I would actually go and rob a bank but who knows? In any case, this guy from Detroit has been sentenced to two years in prison for robbing banks. Jimmie Lee Fortune started robbing banks in April of 2008. His reason, as he told the judge, was that he needed money to pay for his mother’s plumbing bills. He also needed money to get his driver’s license reinstated. Without money, he wouldn’t have been able to do these things. As such, he decided to go ahead and rob a bank. After the first successful attempt, he just kept going. Fortune’s MO was quite simple. He would enter a bank and demand money. His threats ran along the lines of “Large bills or I start shooting!” The funny thing is, he was not even armed when he did this. Then the inevitable happened – he got caught. U.S. District Judge Bernard Friedman was the one assigned to hear Fortune’s case. He said that he received 17 letters of support for Fortune, who asserts that he was very depressed and stressed at that time. He said that he was having difficulty separating reality from fiction. Prior to his bank robbing spree, he was an outstanding citizen. This is what saved him from a worse fate – more years in prison. News anchor icon Walter Cronkite passed away this month, and it is but inevitable that people would look for the next news personality to take his place. Well, maybe not literally but figuratively speaking. If Walter Cronkite was known for one thing, it was that he was the man that all of America trusted when it came to the news. Now that he is gone, who does America trust most? If the figures are to be believed, Jon Stewart has gained the trust of the American people. 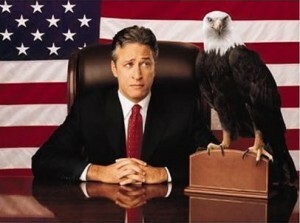 Now don’t get me wrong – I love watching Jon Stewart do his thing on TV. Indeed, I rarely watch TV but on the rare occasion that I do, I find myself watching this “newsman.” The interesting thing about this, though, is that Jon Stewart is primarily a comedian and not a news anchor! Walter Cronkite and Jon Stewart have practically NOTHING in common. So how did America get from Cronkite to Stewart? Is it a reflection of the state of the news media in the country or is it a reflection of the American culture in general? Maybe there is a confusion between “trusted” and “funny”? You tell me. Remember those shoes (slippers or clogs or whatever you want to call them) that suddenly were seen on everyone’s feet several years ago? They are not-so-pretty rubberized (or foam, maybe) footwear in all sorts of garish colors. Who can forget them? 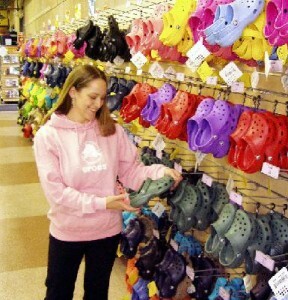 For one reason or another, Crocs became so popular. Children aged 2 wore them. Your next door neighbor wore them. Your boss might have even worn them. I know President Bush did. Even Aerosmith front man Steven Tyler sported Crocs! They say that this was a sign of the economic times – there was a boom and the company behind Crocs rode that wave. In spite of the fact that everyone with the slightest bit of fashion sense knew that there was something off about the footwear, about 100 million pairs were sold in seven years. Almost a decade later, the economy has crashed, and it seems that Crocs is going down with it. Reports say that last year alone, the company lost $185.1 million. Around 2,000 jobs have been cut, and the company is scrambling to find money to pay its debts. So what happened? Was the pricing too much or did people just wake up to reality (fashion wise)? They say it’s a bit of both. Crocs are not that expensive – you can get a pair for $30. With financial problems, though, even $30 may be too much for some. And then, the good old flip flops seem to be making a comeback, pushing Crocs to the back of the closet. So where are your Crocs? I know where mine are – oh wait, I never had a pair! Hotdog eating contests are not out of the ordinary. Indeed, people take off their hats to the amazing men and women who can chow down almost a hundred hotdogs in one go. But have you ever heard of an inter-species hotdog bun eating contest? Now I don’t know what possessed the people behind the event but they organized a hotdog bun eating contest between three elephants and three humans at Coney Island in Brooklyn. 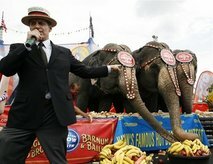 The elephants, named Bunny, Susie, and Minnie ate a total of 505 buns in a mere six minutes. On the other hand, the three humans, Eric “Badlands” Cooper, Juliet Lee, and Tim “Gravy” Brown, downed a mere 143 buns in the same span of time. All the elephants are in the 40s. The humans are all well known in the world of eating contests. Cooper is a subway conductor from New York City and is the world champion in corned beef hash eating. Lee is the world cranberry sauce eating champion, and Brown holds the distinction of eating 8.47 pounds of blueberry pie in 8 minutes. Oh, and he did it hands free, by the way. I doubt that the elephants knew the reputations of the people they were up against. Even if they did, they probably wouldn’t have been fazed. They probably wouldn’t even care. With a collective weight of about 9 tons, the elephants definitely had the advantage over the humans who weighed a total of about 500 pounds. So who cares, right? I mean, despite the fact that he is the leader of the arguably greatest nation on Earth, he still is a private individual to a certain extent. 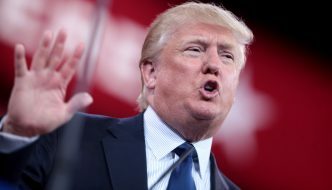 Yes, he has made the lives of tobacco and cigarette companies hell lately, but he admits to smoking every now and then. 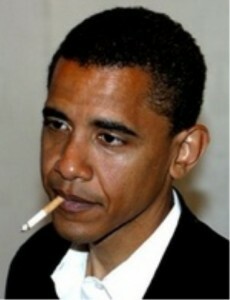 Barack Obama has never made it a secret that he is struggling with his smoking habit. Perhaps just like very other smoker who has been wanting to quit, the president is finding it quite hard to totally kick the habit. He says that he is about 95% cured but he finds himself slipping a lot. He goes on to say, however, that he does not do it in front of the children – just like many smoker parents that I know. So why is this significant? I don’t think it is really – except for the President perhaps. He wants to quit smoking but is finding it hard – big deal! Of course, critics are quick to point fingers and highlight the fact that he is putting a lot of pressure on the tobacco industry while at the same time, patronizing their goods. What does the President have to say about this? Yeah, I have to agree with him a hundred percent on this one. And yes, I am trying to kick the habit myself.